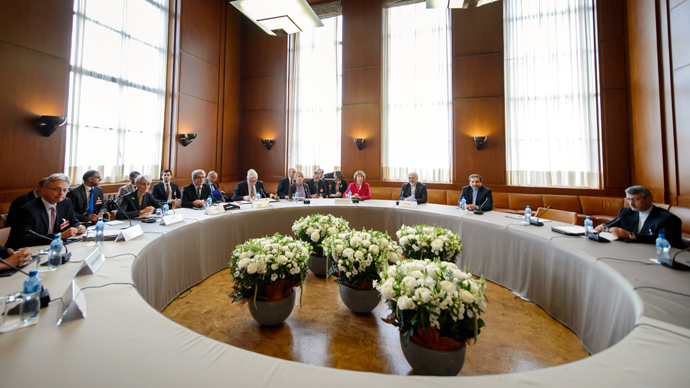 No result has been reached during the latest round of talks between Iran and six world powers. 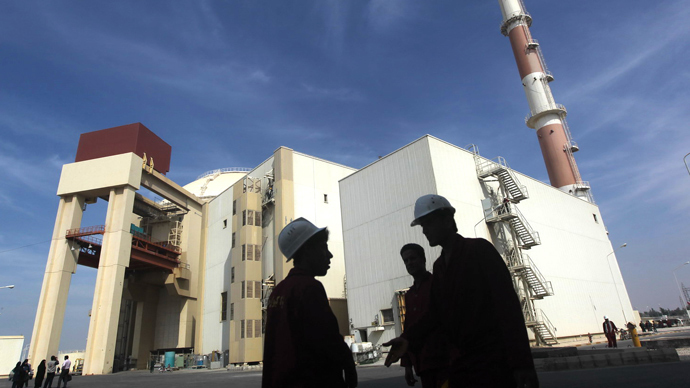 A widely predicted breakthrough was apparently blocked by doubts from the French delegation over Iran’s true intentions. 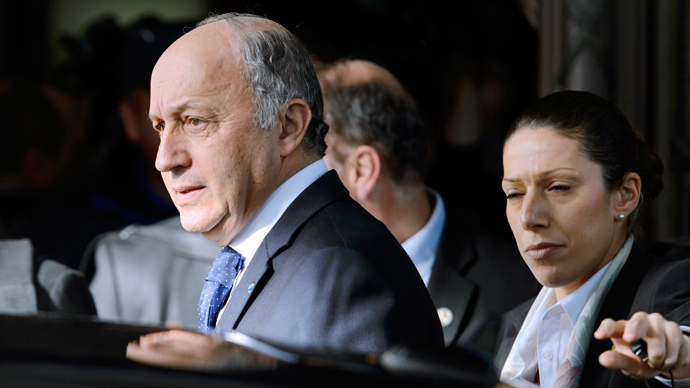 "From the start, France wanted an agreement to the important question of Iran's nuclear program,” French Foreign Minister Laurent Fabius told reporters after the meeting. ”The Geneva meeting allowed us to advance, but we were not able to conclude because there are still some questions to be addressed." The sides have managed to agree on a basis for further negotiations, Russian Foreign Minister Sergey Lavrov said. "A foundation for joint work has been created to define the parameters of the Iranian nuclear issue settlement based on meeting the phased approach and reciprocity requirements," Lavrov said. On Sunday, Iranian Supreme Leader Ayatollah Ali Khamenei took to Twitter to criticize France for scuttling talks, warning Paris was being needlessly hostile towards Iran. “French officials have been openly hostile towards the Iranian nation over the past few years; this is an imprudent and inept move,” he tweeted, mirroring a speech delivered on March 21. Khamenei further wrote France would be rise not to turn a neutral power into an "enemy." Also on Sunday, Foreign Minister Mohammad Javad Zarif said on his Facebook page there are "some problems" to be work out, but called the latest round of negotiations "serious but respectful." Zarif had earlier expressed his satisfaction with three “very productive” days of talks and was hopeful that Iran and the six world powers will be able to reach a deal at the next meeting. “We had a very good, very productive three days, and now we have something we can build on,” Zarif said. The process was “long and interesting," according to the US Secretary of State, but a "very productive one.” Kerry also said that the US understands and respects the “very strong feelings” of friends and allies of Iran. Despite failing to reach an agreement, Kerry said the negotiators "not only narrowed the differences ... but we made significant progress." British Foreign Secretary William Hague mirrored Kerry’s optimism, saying a nuclear deal could be concluded within a matter of weeks. "On the question of will it happen in the next few weeks, there is a good chance of that," Hague told the BBC. "A deal is on the table and it can be done. 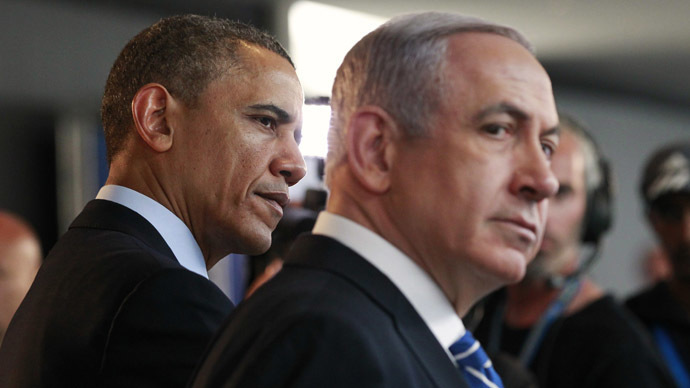 But it is a formidably difficult negotiation, I can't say exactly when it will conclude." 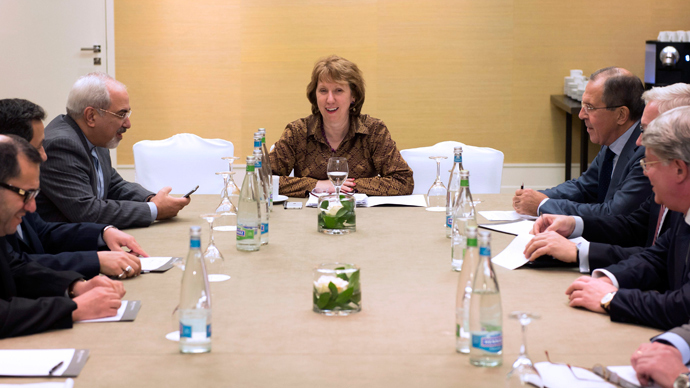 The next round of talks is scheduled for November 20, according to the European Union foreign policy chief Catherine Ashton. While Zarif and Ashton will attend the next round of talks, the negotiations will be led by senior civil servants, Lavrov said. He also praised the US delegation’s position, which “advanced approaches acceptable for Iran” and contributed greatly towards the progress of the talks. 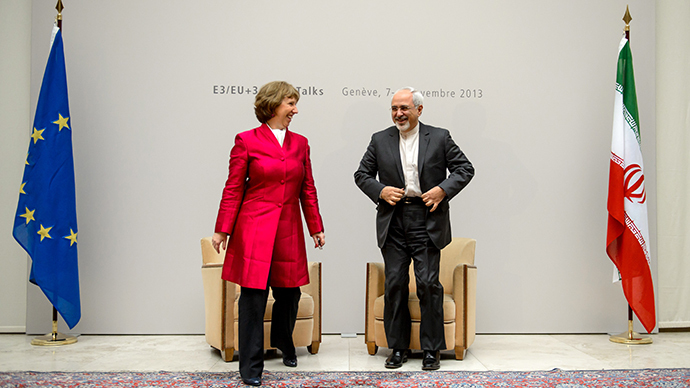 Earlier on Saturday, Fabius warned his colleagues not to be fooled by Iran’s proposals saying that while “the initial text [of the proposal] made progress,” there were still a couple of unsatisfying points. The latest round of talks began on Thursday with US Secretary of State John Kerry and Russian Foreign Minister Sergey Lavrov unexpectedly arriving to join the high-profile negotiations on Friday and Saturday respectively. Although the talks brought no immediate results, the diplomats are ready to get back to the negotiating table within a few weeks. The calls by the P5 + 1 group for Iran to halt further enrichment activities were among the main sticking points in revived negotiations that kicked off after the Iranian President’s visit to the UN in New York this September. The latest proposals on the table require that Iran transfers part of its stockpile of 20 percent enriched uranium to a third country under IAEA custody. The international community also mulled demanding suspension of all operations at the Fordow facility. In addition, the negotiating team requested more transparency from Tehran in addressing allegations of possible military activities, that Tehran has repeatedly denied. In return, the P5 +1 group are offering a phased relief from sanctions on precious metals and petrochemicals that have been crippling Iran’s economy for decades. P5 + 1 offered to provide fuel assemblies for the Tehran Research Reactor (TRR) with the support of IAEA to maintain safety. The group is also offering to provide medical isotopes for cancer patients and cooperate in acquiring light water research reactor to produce medical isotopes. The US meanwhile offered maintenance assistance for the Iranian aviation industry, which too has suffered as a result of sanctions. As part of the discussed deal the international community promised not to introduce any new proliferation related sanctions. Speaking before parliament, President Hassan Rouhani reiterated previous claims that uranium enrichment is a "red line" that cannot be crossed. "Nuclear rights in the international framework, including uranium enrichment, on its soil" are nonnegotiable, the semiofficial ISNA news agency cites him as saying. "For us red lines are not crossable." Rouhani stressed Iran's parity with other states, saying "we are not ready to accept discrimination, at all." "We have told the other party that threats, sanctions, humiliation and discrimination will not lead to an answer," he said. 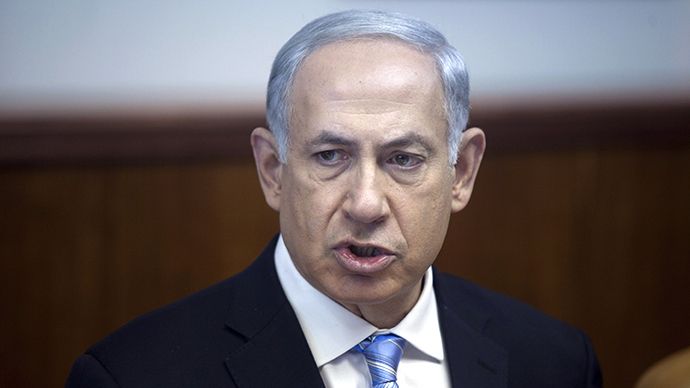 His comments countered a statement made by Israeli Prime Minister Benjamin Netanyahu, before the UN General Assembly last year in which he depicted “a red line” of uranium enrichment that, if crossed, would incite an Israeli strike against Iran. On Sunday, International Atomic Energy Agency (IAEA) head Yukiya Amano said he hoped separate talks with Iranian officials in Tehran on Monday would prove fruitful. "I hope the coming meeting will produce concrete results on how ... to resolve all outstanding (issues) to ensure that (Iran's) nuclear program is exclusively for peaceful purposes," the UN nuclear chief told reporters at Vienna airport before departing for Tehran. The trip will be Amano's second to Tehran, after he visited in May of last year. Upon returning to Vienna he said a deal was imminent, although it never materialized. Earlier this week, Reza Najafi, Iran’s ambassador to the IAEA said he expected an agreement to be reached with the agency. "The Islamic republic of Iran has presented a new proposal that includes concrete actions, and we foresee that the text will be finalized on Monday and that the two sides will reach agreement," Najafi told state television.